Specialist engineers are running a series of courses this year on acoustics, shock and vibration for engineers of different experience levels. 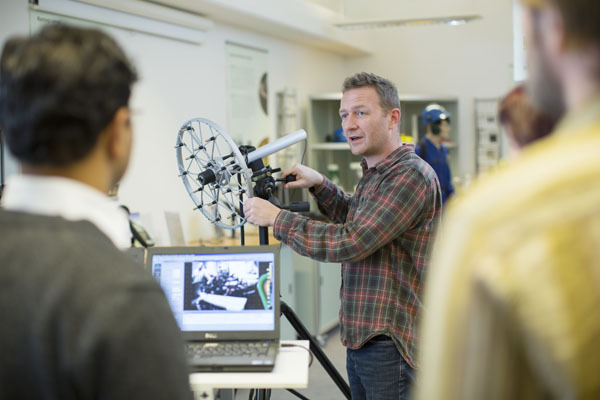 Registration is now open for a range of sound and vibration training courses in 2016 being offered by Bruel & Kjaer providing a range of theoretical and practical classes – are now open for registration. The courses start in March, with the intensive two-day PULSE User Training. This specialist session covers both the basics and the more advanced features of Brüel & Kjær’s PULSE multi-analyser system. Delegates can also take advantage of a new, optional third day called PULSE Reflex user training, to receive dedicated hands on training within the PULSE Reflex software. Also running in March is the Vibration Testing for Engineers and Technicians course, which provides a practical introduction, explaining how to interpret vibration test specifications and apply them to a vibration test system. The course is designed for engineers new to the field of vibration testing, but it is also a useful refresher for more experienced users. This course also offers an optional third day of training called Vibration Hands on Practical, which covers the LDS Laser USB Controller for sine, random, shock and mixed mode testing. For industrial engineers looking to learn about the basic concepts that are important for airborne and structure-borne noise and vibration in machinery, the company runs an Acoustic & Vibration Introduction for Design & Test Engineer course. Upon completion of this three-day course, attendees will have gained an understanding of these basic principles, enabling them to distinguish the different aspects of noise and vibration generation and transmission and apply these principles in practice. Throughout the year, Brüel & Kjær also runs free, online training webinars, hosted by its technical experts. These cover a variety of topics from general acoustic, environmental and industrial topics to more specialised product training.